This review is about item#40414141. Fixing of UPS NAS etc. It is used for fixing when installing UPS (uninterruptible power supply) or NAS. Sometimes I move the place, in that case easy to peel off, the traces I peeled are clean and very convenient. It can be used normally. There is strength, too. You can use it without difficulties if there is a little more quantity. This review is about item#39539017. It is used for pasting plastic and iron plate. There is no adhesion with anything other than. This double-sided tape is excellent mainly at two points. (1) Since the substrate is transparent with good quality, fine foaming results in high quality white. There is an advantage that it is easy to erase the back when photographing. 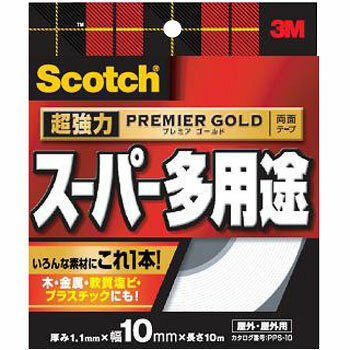 ② The adhesive does not easily contaminate the adherend. It is slightly extracted with solvent, but it can be washed with the same solvent. Since the substrate is probably a crosslinked body, it is not easily attacked by a solvent. Usability in various places was good, so it is re-purchase. I use it to fix things such as mirrors and workbenches. Adhesion is also strong so you can use it in many places. Until now, I have been looking for a double-sided tape that can adhere plastic corrugated board and parts. It has strong adhesive strength and is strong enough not to peel off with human's hands and we are very satisfied. We will continue to use it. This review is about item#39539001. I am satisfied with the tightly stuck to the soft corner rubber. This review is about item#39539035. Since it was so amazing it was expected to purchase and use it but it quickly peeled off, so I changed it to another company's product. There is good. This review is about item#39539026. There is sufficient adhesion. I feel that there is enough length and cost performance is good. I use it to paste the product promotion POP to the outdoor sunshade. We strongly hold POP put in the UV protection case. Adhesion of metal reinforcement to plywood shelf. There was very strong adhesion, it was perfect for the purpose. It will be much more convenient than the adhesive because it will have sufficient strength immediately after being pasted easily. We are using it to fix the exterior parts of automobiles. Although the price is expensive, it is not mistake, so I always purchase it. I used it to paste the letter of the alphabet to the entrance door. Previously, I used double-sided tape I bought at stationery shop, but since I fell down, I replaced it. It was good. I will not fall anymore! I adhere well when the temperature is high, but in the winter, the temperature is low, so the adhesion is weak. It is good to heat the object and the tape with a dryer. This review is about item#40414157. Although it is used when sticking a display board such as plastic and iron board, although it is weak adhesive force in other products, this product is extremely powerful and satisfied. I think that powerful double-sided tape is a powerful product among various companies and various. Since double-sided tape does not require semi-permanent complete adhesion from the beginning, it is considered as a temporary stop, so we do not expect it to be heavy. I plan to use it for light things of several hundred grams in the future.